He is a down to earth Kenyan fashion stylist , non-judgemental +detail oriented . 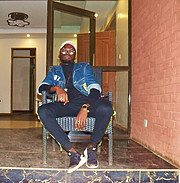 He also stays connected to the fashion industry(with over 5years experience as a fashion buyer), in touch with key players and designers and monitoring industry publication and buzz. Allowing him to ma..
Wangechi Wachira is a personal stylist as well as a professional event manager based in Nairobi. Wangechi is known for her passion for fashion and style and believes in the important role it plays in how one is addressed. 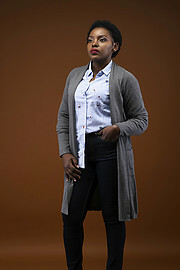 As a stylist, she helps young creatives dress up for differen..
Hello, Am a personal stylist based in Nairobi, Ongata Rongai. Stylist for photoshoots, videoshoots and also do personal shopping based at owners interest. My life revolves around Fashion styling and I love it. I have previously worked with Bossini KE, F&F KE, Deacons Kids, Babyshop KE, Adidas KE, Truworths KE and 4U2. My name is Eugene Otieno a Kenyan fashion stylist and fashion marketer with two years experience having styled an artist for his music videos, styling office guys and many other individuals. 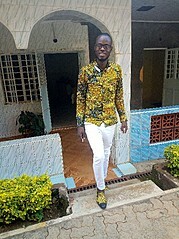 Raymond Odhiambo is a stylist based in Kisumu County, Fashion has been part of him. Available for fashion styling as well as collaboration with other modeling professionals.